Established over 200 years ago in 1805, we are an international company with a global reach. We fully embrace our role as the local real estate services company in each of the communities we serve. As a founding member of the Royal Institution on Chartered Surveyors (RICS), we focus on delivering excellent service to our clients adopting modern methodology and years of international best practice. 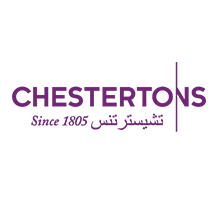 Chestertons is an agency that understands the ebbs and flows of property. With over 200 years in the business and over 120 international offices, Chestertons is the global real estate partner you have been looking for.